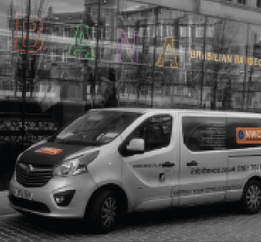 Our engineers are fully Gas Safe trained which means they are able to work with a whole host of catering equipment. We offer sales and installation for a range of catering, we also offer service and maintenance plans to help keep your equipment working as efficiently as possible. If anything does go wrong, we offer a 24 hour breakdown service as well. Many of our engineers specialise in dealing with commercial bakery equipment. This includes carrying out essentials maintenance and repair services on your commercial equipment, as well as having your back with our bespoke breakdown cover. That means 24 hours, 7 days a week you will be able to call us out for any issues. Our engineers have been servicing, maintaining and installing all types of refrigeration units for many years. We have teams that have worked in cold rooms, shops, restaurants and hospitals. Your refrigeration system is one of the most important parts of your commercial catering environment, and we want to help your kitchen running. 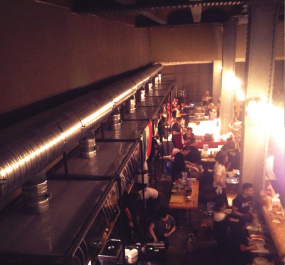 Your ventilation system is there to make sure your business is a safe and comfortable place to work in. We provide a range of services to deliver great ventilation. These services start with designing and installation of extraction and ventilation systems and carry on through all the way to maintenance, services and even 24 hour breakdown repair. We specialise in the design, manufacture, supply & installation of commercial food service equipment. All our products are manufactured using high quality materials providing products delivered on time, every time. So if you’re looking to create a catering environment that is bespoke to your needs, then get in touch with one of our team today. NWCE Food Service Equipment has over 20 years’ experience in the commercial kitchen service industry. We provide an extensive list of services including catering equipment repairs, catering equipment installation, catering equipment maintenance and catering equipment sales. Choose from a vast range of equipment you find in the best working commercial kitchens. At NWCE Food Service Equipment, we also use a vast array of suppliers for parts and new appliances. This gives us great capability to drive costs down for you, our customers. 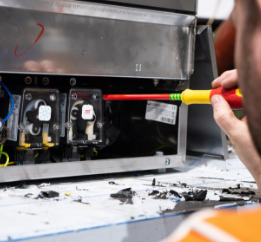 All of our engineers take their training seriously, which is why we make sure they are all trained to the highest standards to be able to deal with your catering equipment. To read more about our accreditations please click here!